Annie Lucille Sandoval obituary. Carnes Funeral Home. Sandoval, Annie Lucille, Jan 9, 1920-Feb 7, 2016God graciously called Annie Sandoval home to heaven on Feb 7,2016, to celebrate with her Lord and Savior Jesus Christ. 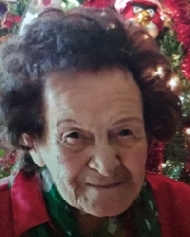 She was 96years of age and was a life long resident of Galveston County. Annielived the last portion of her life under the loving care of herdaughter and caregiver Patricia Ross of Texas City. Annie was thedaughter of Margaret Aguilar and Tom Wright.She was a loving wife, mother, grandmother, great-grandmother,great- great-grandmother. 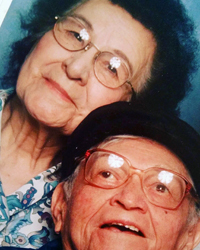 Annie was united in holy matrimony tothe late Albert Sandoval after sharing 63 years of marriage leavingbehind a legacy of 5 generations. She leaves behind sweetmemories to her three daughters: Janie (Worthington), Patricia(Ross) and Ella (Peebles), adopted and raised grandchildren Albert,Marcus, Tammy (Cronk), Kim (Gerhardt). They also helped raisetheir niece and nephew Tina (Dore) and Thomas Sandoval.She also leaves behind seven Grandchildren, 14 Great grandchildren,10 Great-Great grandchildren and family including Edward and NoraBrooks.Annie was very active throughout her life and worked at variousoccupations including managing the Galveston County Senior CitizenCenter in Hitchcock, TX, where she retired after many years ofservice.Special Thanks to Granddaughters , Margaret Williams, SharonBrown, and Bridget Fiscella for always being so helpful, loving andsupportive.We will always love and honor the “Matriarch” of this family. Remember the best times of the laughter, the song.